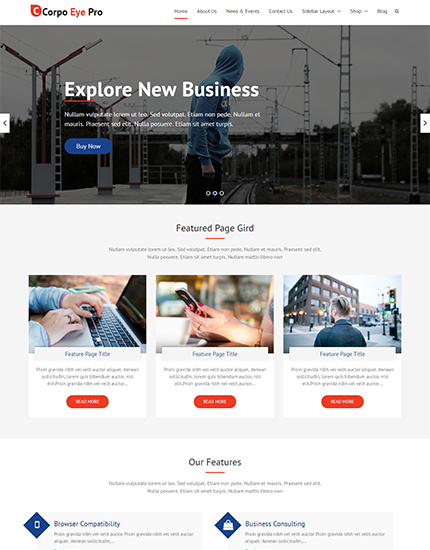 Corpo Eye Pro is a modern and robust, versatile and flexible, powerful and easy to use, technologically competent and very responsive WordPress multipurpose theme. It is a reliable platform for creating impressive websites for a range of purposes. 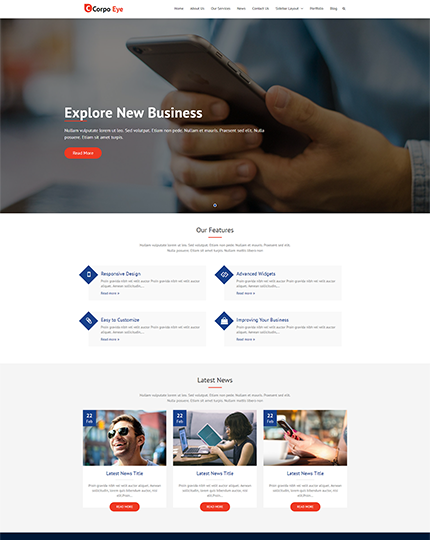 Personal, corporate, professional and business users alike find this theme an ideal solution. In a matter of minutes, it can set you up with sophisticated custom websites. Regardless of your previous development or coding experience, it delivers sharp, polished results. It comes packed with many useful features, and a design that never fails to impress.